A Kincardineshire school has been praised for cancelling a trip for pupils to the Manchester area in the wake of Monday’s terrorist attack in the city. Around 40 pupils from Portlethen Academy were due to travel to the area on Tuesday, but Head teacher Neil Morrison took the decision to cancel the trip and organise an itinerary for affected pupils closer to home. 22 people were killed and nearly 60 injured in an explosion at the MEN arena in Manchester on Monday night, as crowds were leaving a concert. On Tuesday evening UK Prime Minister Theresa May raised the country’s threat level from “severe” to “critical” - meaning the threat of another terrorist attack is seen as imminent. 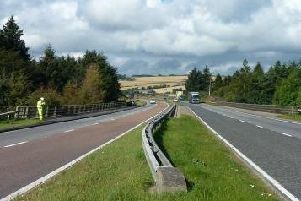 Commenting on the decision to cancel the school trip, Mr Morrison said: “After consideration of the information available to us and discussion with Aberdeenshire Council we have taken the decision to cancel the trip due to the events of Monday night and the subsequent disruption in the area together with the on-going security risk. Arrangements will be made in school for the pupils affected with normal school hours operating. Costs will be reimbursed. Parents took to social media to praise the decision. One mother said: “I just want to give a big shout out to the head teacher and staff at Portlethen Academy. My son is one of about 40 that had their school trip cancelled in light of the tragedy that happened in Manchester. Another parent commented: “They will have a brilliant time and hopefully take time to realise how lucky they are to enjoy time spent with friends that can’t be replaced - wherever they are. “Well done to all who scrambled to make sure the kids still got a wee break and were determined not to let them down”.